Are you a candidate looking for government bank jobs? 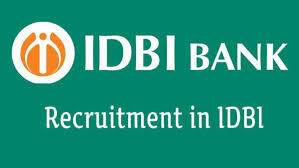 Here is a great opportunity to work in IDBI bank! The bank has opened the recruitment to fill the vacancies of 300 posts as executives in a various branch of IDBI Bank across India. You may apply if you are in the age limit of 20 to 25 years and hold a degree. The last date to apply for the posting is on 15th April 2019. You may make an application for the job as soon as possible to avoid last minute tension. When you need to apply, you may open the official website, www.idbi.com and click on the careers site. Open the right notification, read and understand them completely, know the eligibility for applying for the post. If you are eligible, get ready with the documents and proceed with the process by filling the required details, upload the documents and make the online payment. The selection process for the posting will be based on the online test and personal interview. Make sure you have entered all the required details and also keep checking the registered mail ID and phone number for further information regarding the recruitment process and also about the fourth coming recruitments. Online: the Candidate may pay the fee through any of the online payment media like Cash Cards, Mobile wallets, Credit Card, Debit Cards (RuPay/ Visa/ MasterCard/ Maestro), Internet banking, IMPS, etc. Step 4: when finishing one part, click on “Save and Next” and fill the remaining details and necessary documents to be uploaded. When you have completed the process the final step will be the payment. Enter the details correctly and make the online payment to apply for the post. Step 5: Make the final submission and print the copy for further use. Check the registered mail ID and phone number for updates regarding the recruitment process.